Members of the Class of 2017 came to us nearly four years ago to begin their journey of obtaining a DVM degree. Here they recite the veterinarian’s oath during their induction ceremony. As our graduates start their journey into the world, we are inspired by their thirst for knowledge, energy, and new ideas. They come to us seeking to be enlightened and in turn shine their radiance on us, stimulating us by sharing their dreams. Throughout their time here, they have challenged us to be better mentors and create opportunities for them to change the world. Our graduate students have discovered insights into topics ranging from the protection of our environment to mechanisms of cancer. Our house officers will be bringing their special skills to grateful clients throughout the world, expanding treatments and setting new standards of care. 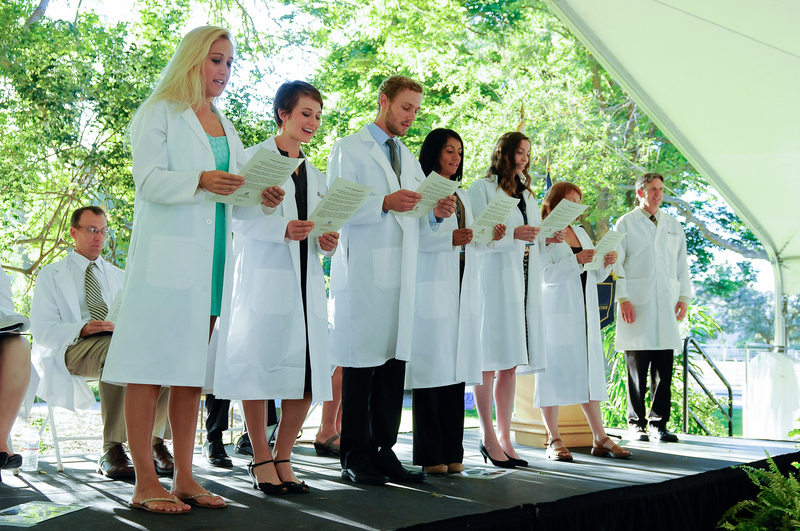 Our veterinary students will now be called “doctor” for the first time and disperse into fields ranging from private practice to public health, each determined to make a difference in the lives of their animal patients and humankind. Seems like yesterday that the Class of 2016 were celebrating their commencement. As our students, residents, and graduate students leave us, they remind us of the power of youth and dreams. Their educational journey started with their desire to gain the knowledge and skills to advance animal, human, or environmental health. They are starting into the post-graduation realm during a time of great possibilities, and many challenges. 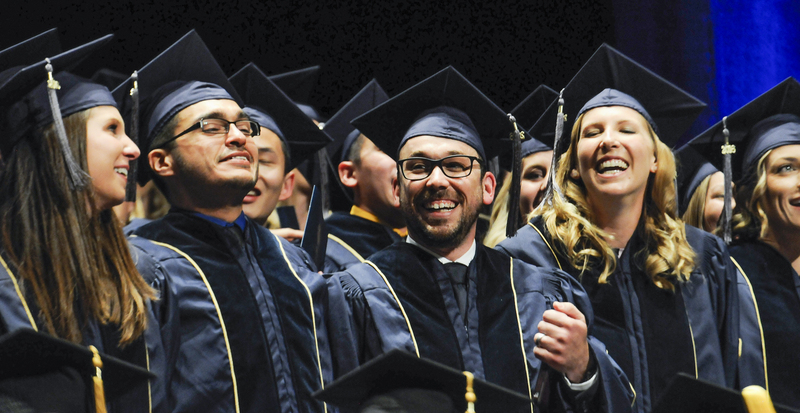 Each new graduate joins an illustrious history of UC Davis. They have enhanced the school’s legacy of producing leaders who will make a positive impact in the world. For our faculty and staff, I would ask you to reach out to those leaving and discuss their plans for the future; ask them to take a moment to reflect on their time and their fond memories, and forgive us of our short comings. Ask them to believe in themselves, as you know they have worked through difficult years of study to arrive at the place they are now. 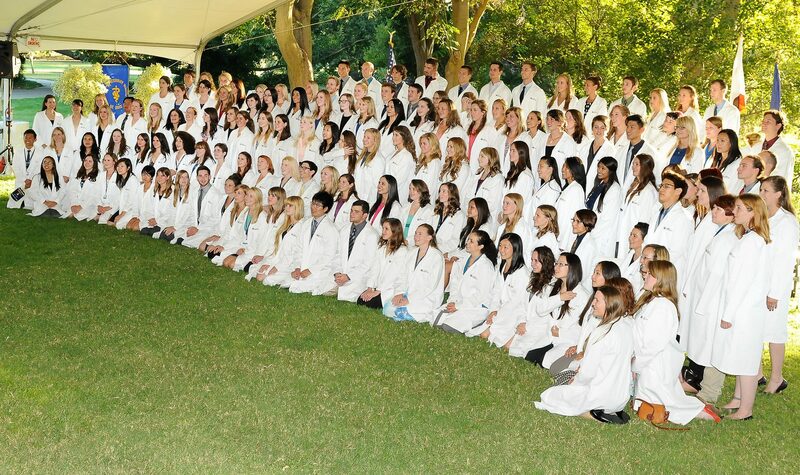 In a few short weeks, the members of the Class of 2017 will wear graduation robes in place of these white coats. We have provided them the tools to change the world, but it is their drive and creativity that allow them to achieve their vision. They came to us to learn, and in the process, taught us many life lessons. Each one of them have expanded the school’s history with their own distinctive stories. Their challenge will be to extend their talents beyond the classroom, clinic, and laboratory to venture into communities across the globe and build the future. Our students come to us as strangers and leave as friends and colleagues that have formed enduring bonds that will last our lifetimes.